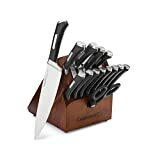 →Best Kitchen Accessories – Should I Buy ? Every kitchen needs beautiful yet practical accessories in which to help you cook, prepare your food, store your cookware and entertain guests. Kitchen accessories should be bold, beautiful and express your personality and personal tastes. Whether this be intricate Indian cookware, beautiful fondue sets or simply somewhere to hang your pots and pans, below we briefly review 5 of the best kitchen accessories that are currently on the market. This elegant cooper and stainless steel 9 piece tableware set will serve 2 to 3 people. It is designed to be used as a centerpiece for your table. Aimed at serving Indian food, the set comprises of 4 serving spoons; one tava that is designed to serve dry vegetables; a Karashi that is for serving curry; a dinga for serving chapattis and a handi for holding rice. There is also an 800 ml bucket that is perfect for serving lentils. Natural wood and cast aluminium are combined to form this stunning yet visual pot rack. Designed to be suspended from the ceiling, its cast iron construction provides strength with a visually stunning yet practical accessory to house all of your pots and pans. With over 26 different types of hooks; from S hooks to Swivel hooks, all of your pots and pans can be safely hung. This pot rack ultimately frees up storage space in your kitchen and provides a beautiful focal point. This kitchen set by Calphalon, features an impressive aluminium 6 quart pan with a stainless steel cover. The heavy gague material is a good conductor of heat and thoroughly cooks food quickly. You also get 2 cookbooks from the Food Network, as well as a wooden spoon, dish towel, pot holder and handwash. This set would make an ideal gift for a loved one or for use in your own home. You get a practical and hard wearing pan with useful accessories. Everyone loves fondue and every home should have a fondue set. They are fun to use, yet create a practicaland easy meal or sweet treat as part of an evening entertaining. This stunning copper fondue set features a white ceramic removable insert, a burner and 6 fondue forks. It comes complete with a splatter guard and is quick and easy to assemble, and even quicker to use. It is ideal for both chocolate and cheese fondue, and for those nights when entertaining guest. 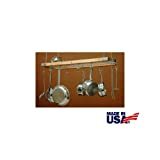 This fondue set is made from stainless steel although food does not come into contact with the stainless steel as here is a removable inner pot into which to place food. You are able to control the temperature of the burner to ensure that food will melt, and then not burn. The set features 6 fondue forks that are color coded so that you use the fight one each time. The forks also feature stay cool handles which is useful if they are left unattended in the fondue for long periods of time.